Love Travel Guides are a complete departure from the traditional mass-market books. Love Travel guides present a curated selection of Indian experiences that have been chosen to help the traveller fall in love with India. At last a luxury travel guide for Mumbai is now available. The book is a must have guide, all the savvy inside knowledge that a stylish traveller or resident, craves is here. Mumbai is the biggest, wealthiest, and fastest city in India and often is compared with New York. The guide is designed for the discerning traveller who wants authenticity in style. 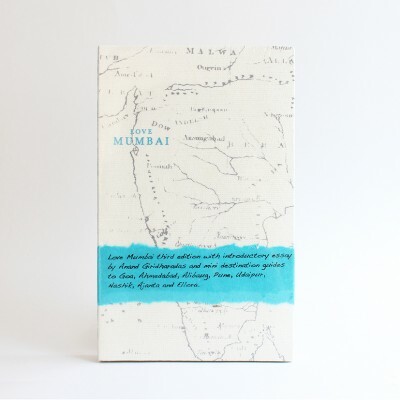 Completely handmade in India, the 160-page book, comprises eight sections including an overview of the city with 'must knows and must do's and presents the best places to eat, drink, shop and visit. It is sourced from 'love stories' shared by in the know locals; including chefs, artists, designers, architects, foreign correspondents and taxi drivers. Using it is like being chaperoned by a good friend. India has clearly arrived as a hot luxury destination with discerning travellers flocking to the country in unprecedented numbers. Love Mumbai details the most authentic experiences in Mumbai and has dedicated sections on SoBo and NoBo, South and North Mumbai. The book opens with an insightful essay by Anand Giridharadas of The International Herald Tribune, Bombay Bureau. Love Mumbai also presents great escapes, which are in easy to reach places including Goa, Ahmedabad, Alibaug, Pune, Udaipur, and Nashik. Love Mumbai is printed on handmade paper and crafted with care by local fashion designers and crafts people. The hand-woven khadi covers were developed in partnership with Sonam Dubal of Sanskar.